I first met Dr. Asaadi in 1997 when he performed a rhinoplasty on me. Scared to death of looking like a typical cookie cutter, I put it off for years until I met someone who got theirs done and gave me his name. She looked just like herself only more polished and so natural. His work is tailor-made to the individual’s face no matter whether it’s surgery or injections. He’s always honest and will tell you when you are not an injection candidate as well as turning away current injection patients when he feels they are not ready for their next visit. Dr. Asaadi became Bella MediSpa’s Medical Director in 2005. His results are incredibly natural looking. He takes his time and is truly an artist in his field. Patients often comment on how much they appreciate his outstanding bedside manner, honesty and of course, incredible results. He not only has over 35 years experience as a plastic surgeon but is Chairman Of Plastic Surgery at St. Barnabas. 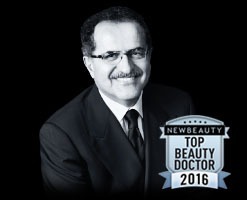 Dr. Asaadi visits the salon every 4-6 weeks for Botox, Voluma, Juvederm, Kybella and surgery consultations. Please call for his next date at Bella!